If you’re on an adventure to taste the best local food in the Philippines then you wouldn’t regret a single moment of stay in Tugegarao. Tugegarao City is the provincial capital of Cagayan in the northern part of the Philippines. While it has that ‘laxed “provincial” feel, the city basks itself in modern architecture, natural attractions, and man-made beauties. 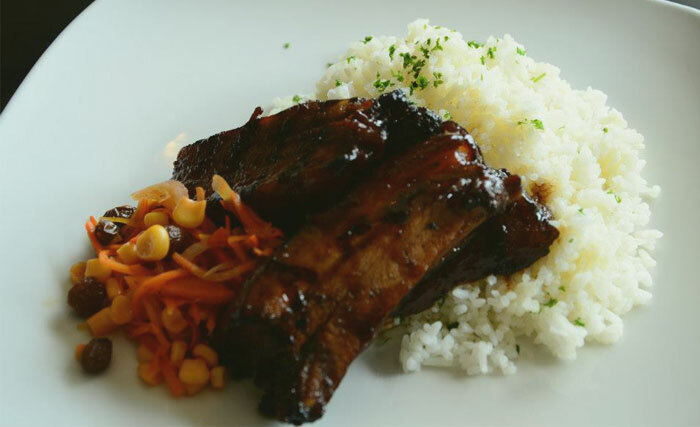 But if there’s one more thing we bet you won’t forget about the province, it’s the food. So, without further ado, here’s a list of must-visit food places in Tugegarao that would make you wish you live there. 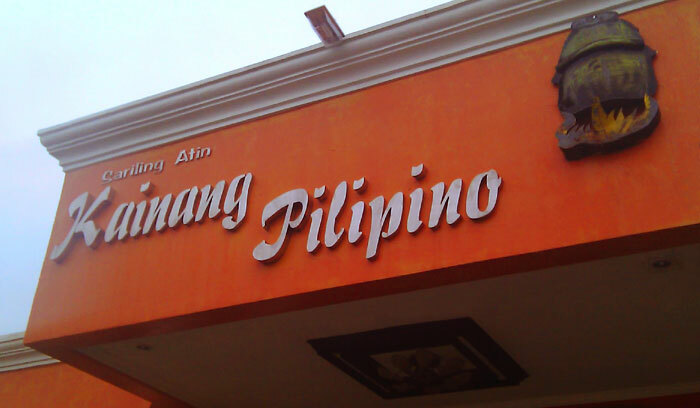 If you’ve recently just arrived in the city with your family and looking for some recommended places to stuff your starving tummy, Kainang Pinoy is a buffet restaurant that serves a variety of delicacies. From other local dishes to your choice of kakainin, to DIY halo-halo station, your family will surely enjoy your time here gobbling all the food you want. Cozy and big, with decorations of Cagayan sites hanging on the wall, your Kainang Pinoy experience is best enjoyed with Crispy Pata, sizzling Kangkong, Dinengdeng, Halabas na Hipon, and Dinakdakan. Who wouldn’t want a mouthful of this restaurant’s Pansit Batil Patung when it won several times in Tuguegarao’s local cooking competitions? Jeff’s Restaurant is a famous restaurant in the city and is easily accessible through a single tricycle ride. Its famous dish, Pansit Batil Patung, is a special wheat-based noodle, topped with beans, chicharon, egg, and mixed with calamansi from Isabella, vinegar, soy sauce, and chili. In short, it is the noddle dish with the all-time favorite Filipino ingredients. The restaurant might look like a simple carinderia on the outside, but the interior will let you feast on accolades and recognitions hung proudly on its walls. Now, that’s what I call stand proud and humble! 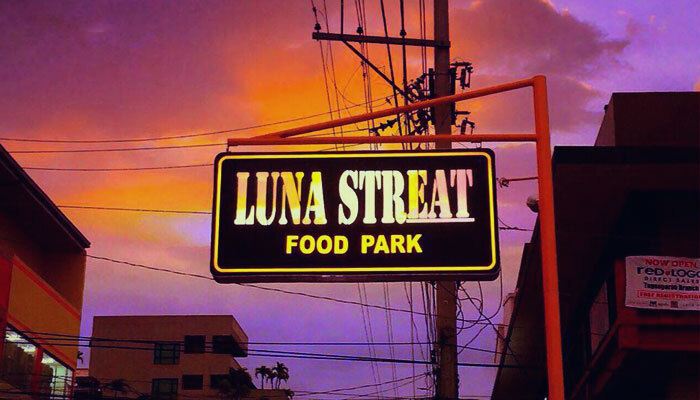 Luna StrEat Food Park is the best place for travel groups and families to gobble down food. From pares to churros, form bacon to milk teas, this foodie hub is a good place to chill at night after Tuguegarao’s hot daytime climate. 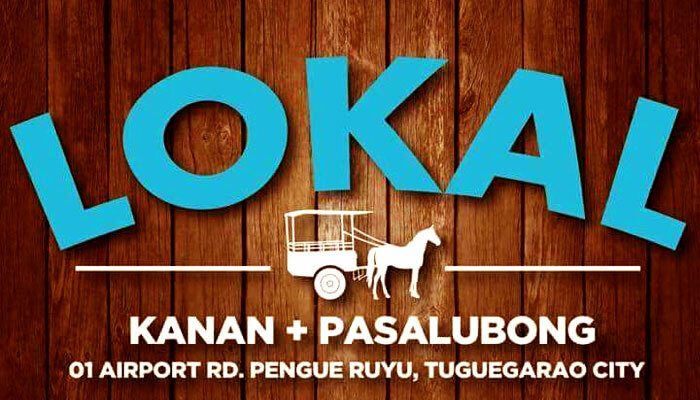 Try setting this place for your barkada’s get together and a food trip galore. Your eyes and stomach will definitely not regret it! Ybanags (Ilocanos) know this place as one of the best servers of authentic and delicious native cuisines – plus, locally made pasalubongs! Your techie kids (if you have some) would also love this place because it has a built-in charging station (up to 8 devices)—charge-free! Their sinanta (flat noodles with clam soup) and pinakfu (sugar-coated, fried rice flour cake for dessert) will make you reminisce childhood memories, back when your grandmother used to offer merienda in a hot, summer afternoon. With affordable price for all budget-tight travelers and interesting furniture too, this place would surely stay in your heart – and stomach – for a long time. Let’s move on from local cuisines and put our focus on every millennial Ybanag’s favorite fast-food place in Tuguegarao: Fatkidinside (FKI). FKI has branches in other parts of the country, especially in Metro Manila. But that’s not what’s awesome about FKI, what’s nice about this place is that it’s not like those greasy, unhealthy fast-food you’ll get in urban cities. Their burgers are soft and chewy, makes you think that they’re handmade from scratch. They have buffalo wings too! Tuguegarao City may be scorching hot but so is the quality of their food. It’s a place in the northern Philippines that you must visit not because it’s trendy, but because it’s worth it. If you want to take a peek at Tuguegarao’s wonders, try booking online at Sky Pasada at http://www.wccaviation.com/. Booking a flight at Sky Pasada is easy and quick. It’s also affordable unlike other airline companies.